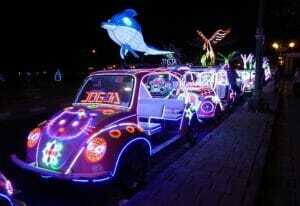 Yogyakarta is a city on the island of Java (Central Java) in Indonesia. It is known as the centre of education as well as of history and culture. There are literally tons of things to do in Yogyakarta and it's almost impossible to cover all of Yogyakarta places of interest in one single visit. 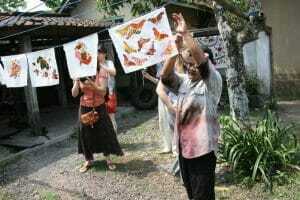 When you visit Yogyakarta you will be inspired by authentic Javanese arts & culture; from their fine art, batik making, local cuisine, to traditional Indonesian performance such as puppet shows (wayang kulit), poetry and ballet. On this page, we will be covering the things to do in Yogyakarta city as well as Yogyakarta places of interest that are within the main city. Coverage of attractions such as Borobudur Temple, Prambanan Temple, Mount Merapi, Parangtritis Beach and others that are located in the surrounding Yogyakarta districts, do visit our other pages accordingly. The Keraton (Kraton) is also known as the Palace of Yogyakarta. This majestic compound was established to reflect the cosmos in traditional Java. The planning and construction of Keraton was done in stages and was completed in 1790. The Keraton was built and influenced by ancient beliefs and each feature of the complex, from the design & layout to the planted trees, has a special symbolic meaning related to the Javanese culture. Whether or not you're into history and culture, visiting this palace has got to be one of your top things to do in Yogyakarta. Our tours that include a visit to the Keraton: 3D2N Yogyakarta Borobudur & Prambanan Tour, 3D2N Yogyakarta Borobudur, Kraton Palace, Taman Sari Castle Tour, 4D3N Yogyakarta Borobudur & Surakarta City Tour, 4D3N Yogyakarta Borobudur Sunrise Mt. Merapi & Parangtritis Beach Sunset Tour. Taman Sari Water Castle is the former royal garden of the Sultanate of Yogyakarta. 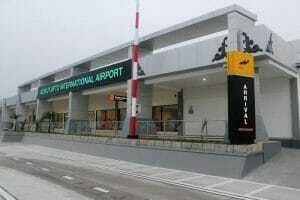 It is a near 10-minutes’ walk away from Keraton palace. Built in the mid-18th century, there are 4 main areas in Taman Sari; a large artificial lake with islands and pavilions, a bathing complex, a complex of pavilions and pools, and a smaller lake. Undoubtedly one of the top Yogyakarta places of interest. Most of our tours cover the Taman Sari Water Castle: 3D2N Yogyakarta Borobudur & Prambanan Tour, 3D2N Yogyakarta Borobudur, Kraton Palace, Taman Sari Castle Tour, 4D3N Yogyakarta Borobudur & Surakarta City Tour, 4D3N Yogyakarta Borobudur Sunrise Mt. Merapi & Parangtritis Beach Sunset Tour. 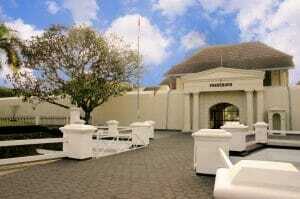 Fort Vredeburg Museum was a former colonial fortress located in the city centre of Yogyakarta. In 1992, this particular military complex was converted into an Independence Struggle Museum. 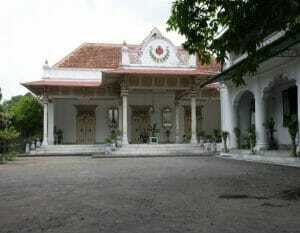 It is located right in front of Kraton Palace. 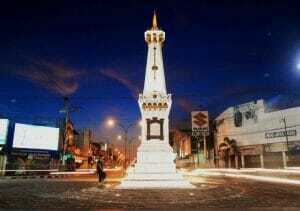 Tugu Yogyakarta is one of the most commonly-used landmark / point of reference when visitors come to Yogyakarta. This monument is located on the crossroads of Jalan Jenderal Sudirman and Jalan Margo Utomo. During your stay, you are bound to go past this unique Yogyakarta places of interest. 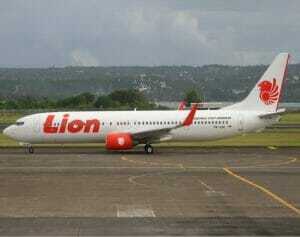 It also has a symbolic connection between the Southern Sea, Kraton Jogja and Mount Merapi. This is an outdoor area behind the royal palace that is converted into a recreational area every night. The surrounding road will be closed and a mini carnival with rides and food stalls will be set up. They have several direct flights out from Jakarta, Surabaya, Balikpapan, Ujung Pandang, Bali, Pontianak, Palembang, Medan, Pekanbaru & Bandung. The two main entry points to Yogyakarta are from Adisucipto International Airport and Yogyakarta railway station (formerly known as Tugu Station). 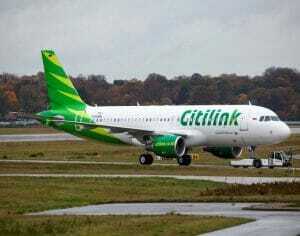 You may consider flying into neighbouring cities if you have an option for a direct flight there - Surakarta (Solo) which is 70km away (2 hours by drive) or Surabaya which is 330km away (5 hours by train). All the timings above are based on estimation; it may differ depending on traffic & weather conditions.